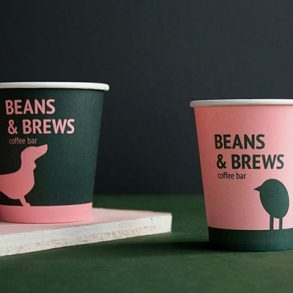 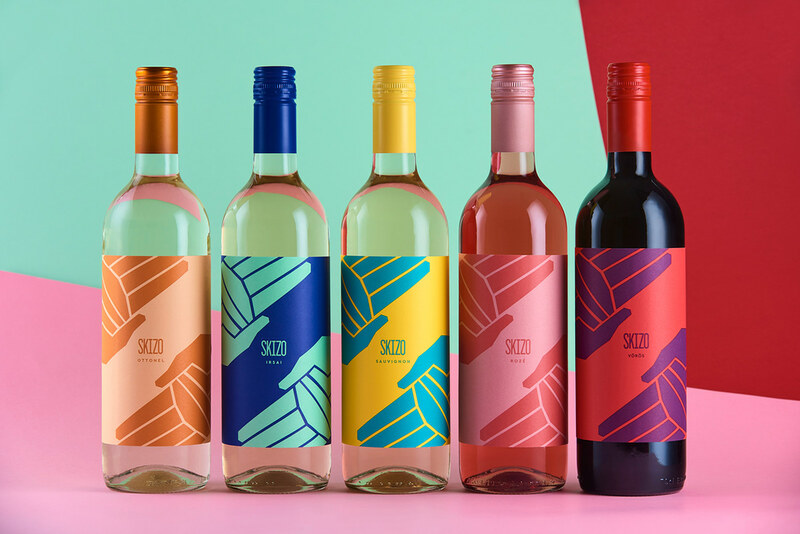 Riga based graphic designer and illustrator Agris Bobrovs skillfully creates colorful, happiness-inducing design concepts for clients both small and large. 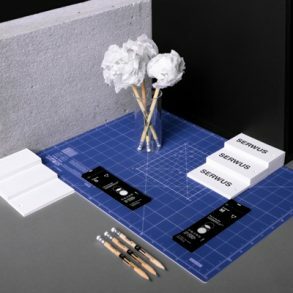 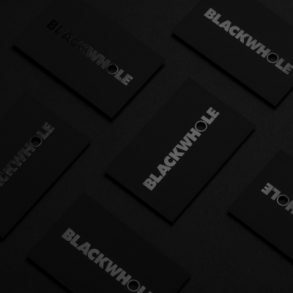 Having experience in working on projects for giants such as Microsoft, Nikon, and Vodafone, his unique eye and aesthetic for bold colors and minimal shapes sets his work apart. 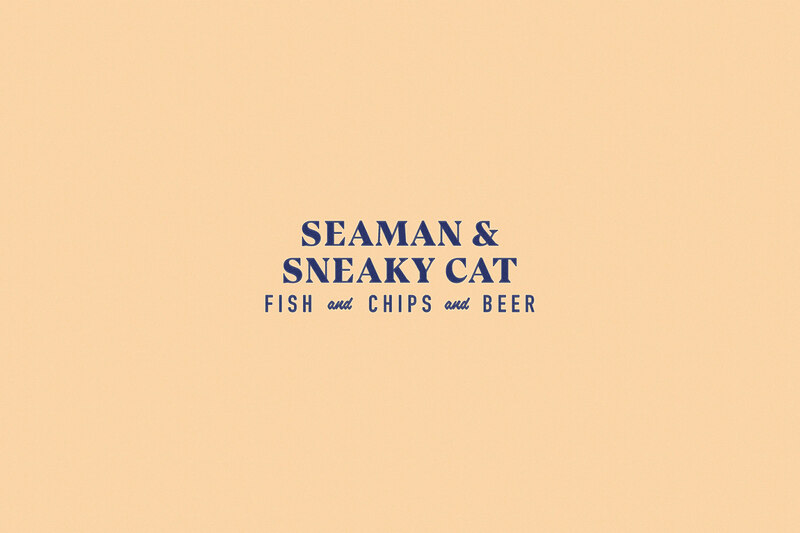 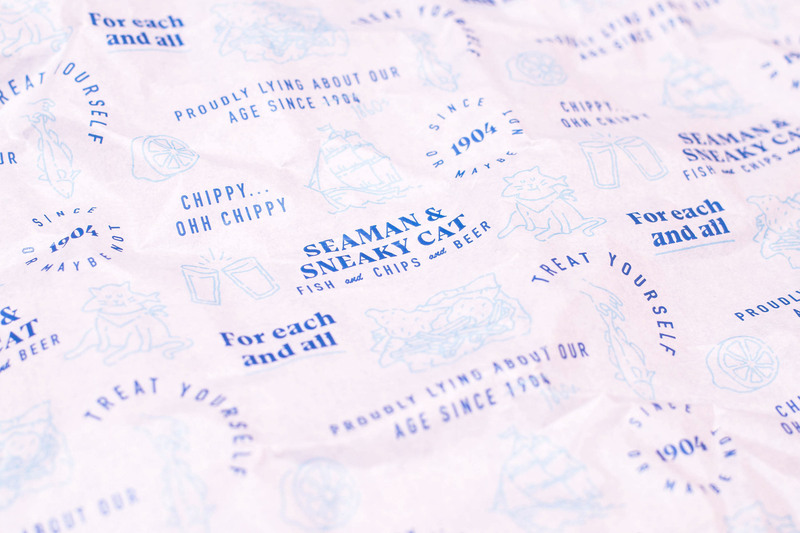 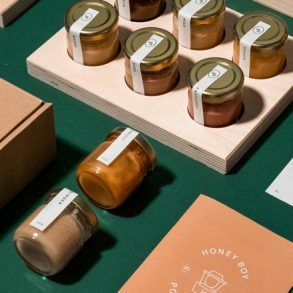 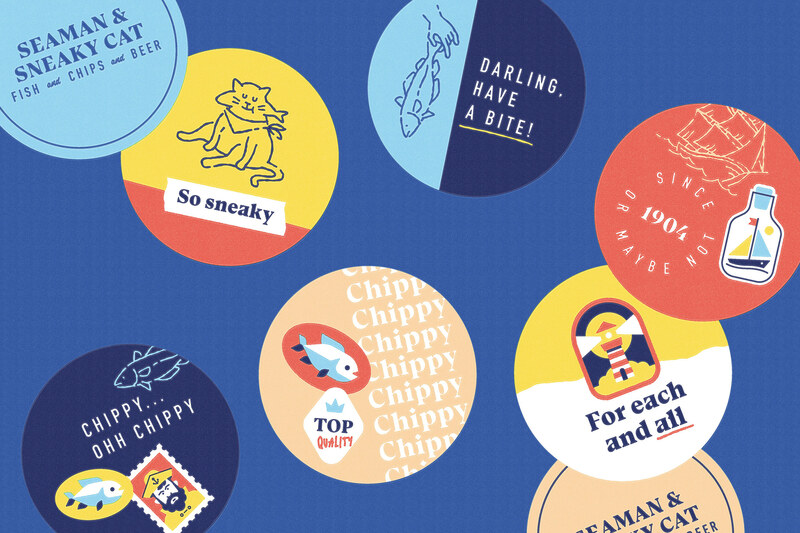 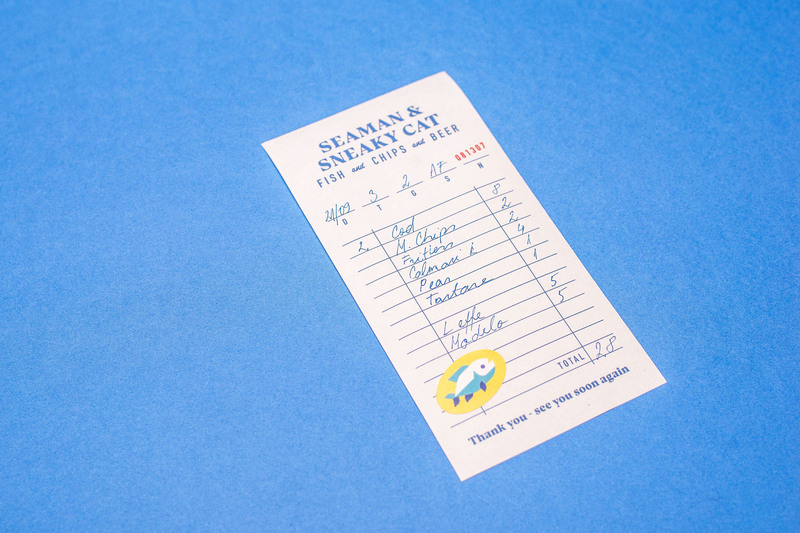 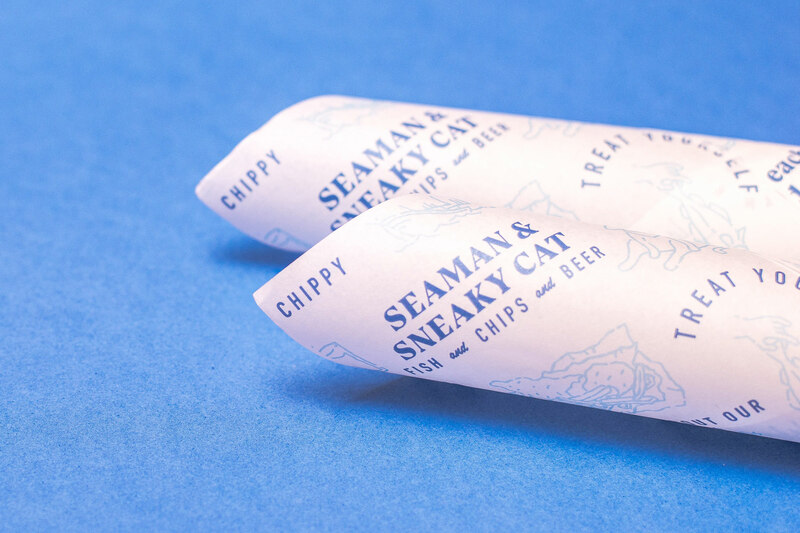 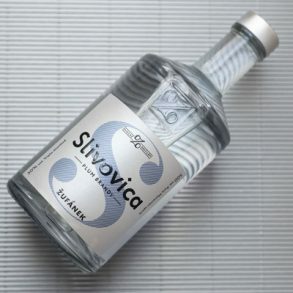 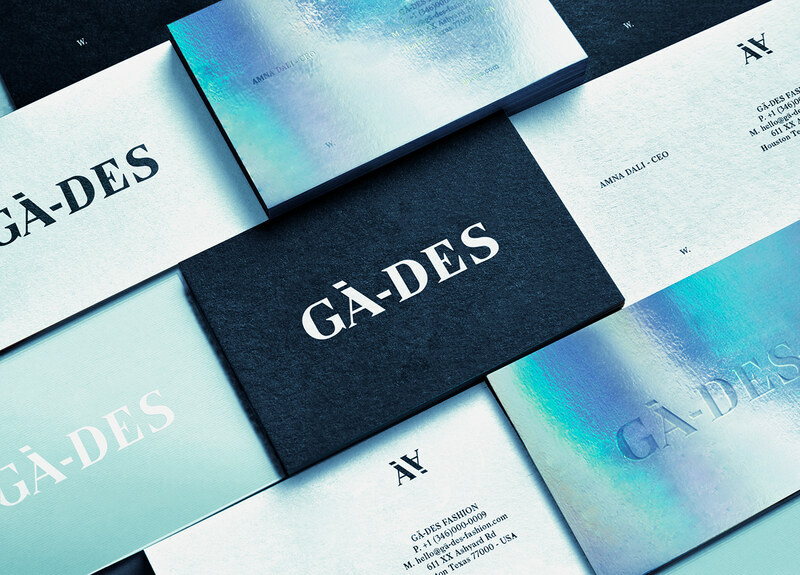 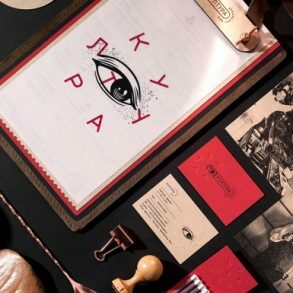 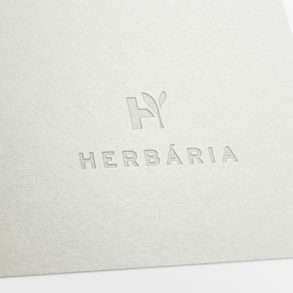 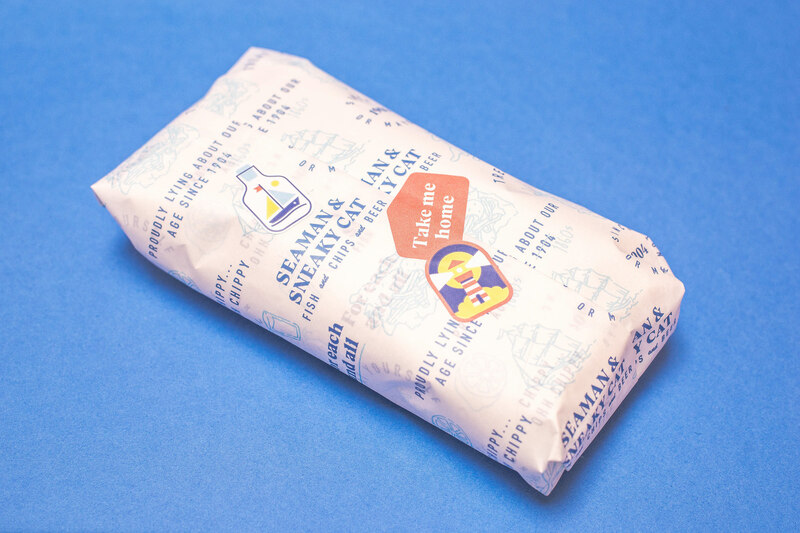 Bobrovs’ great imagination and comprehension of creating an enjoyable branding experience come across in his latest branding design for a local restaurant Seaman and Sneaky Cat, a British-style restaurant – specializing in the traditional combination of fish, chips, and beer – but with a twist. 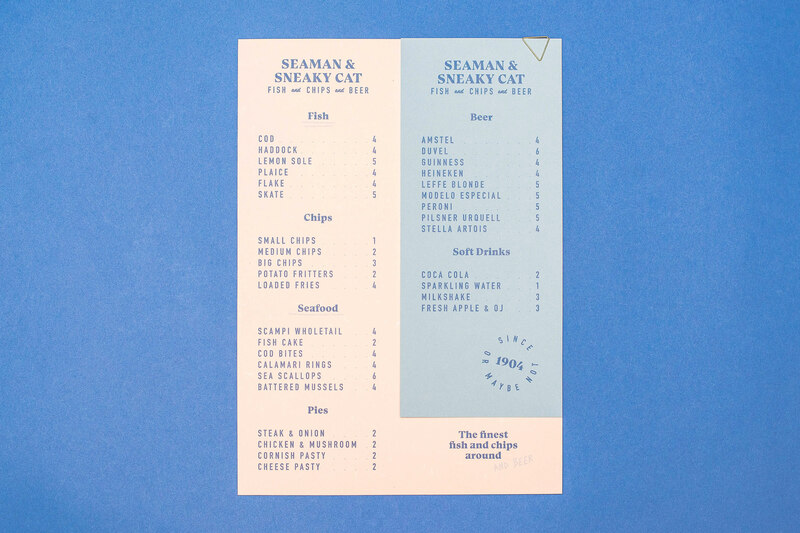 The almost cartoonish visual identity tells the story of a seaman, who is the provider of the seafood served in the restaurant, as well as a sly cat! 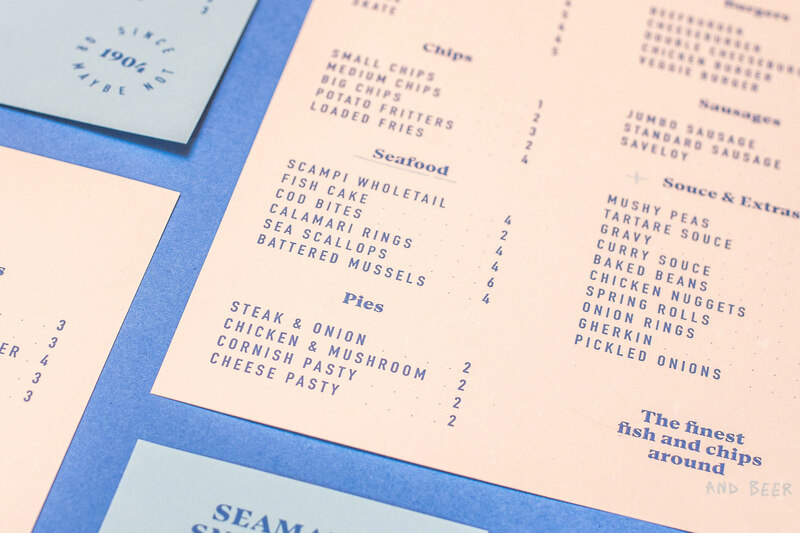 The concept reads as a seaman’s diary, where the factual content (menu, information) mixes with doodles and colorful print cuts. 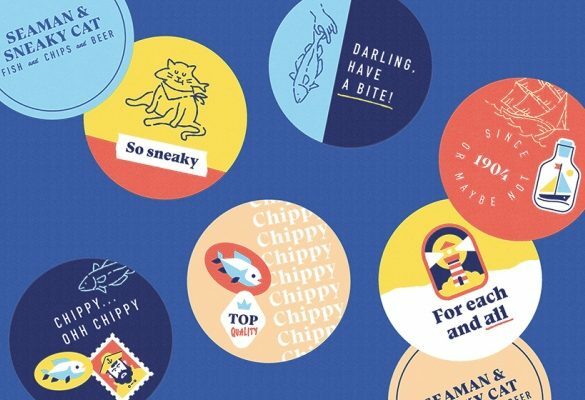 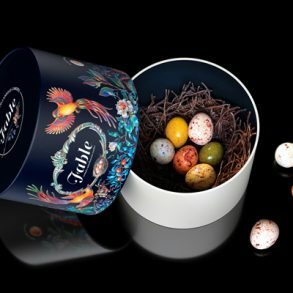 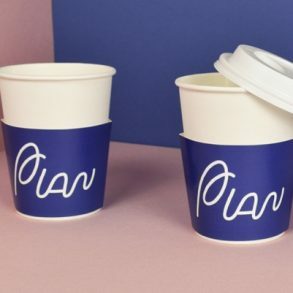 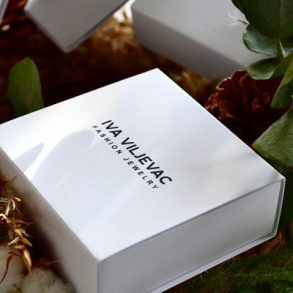 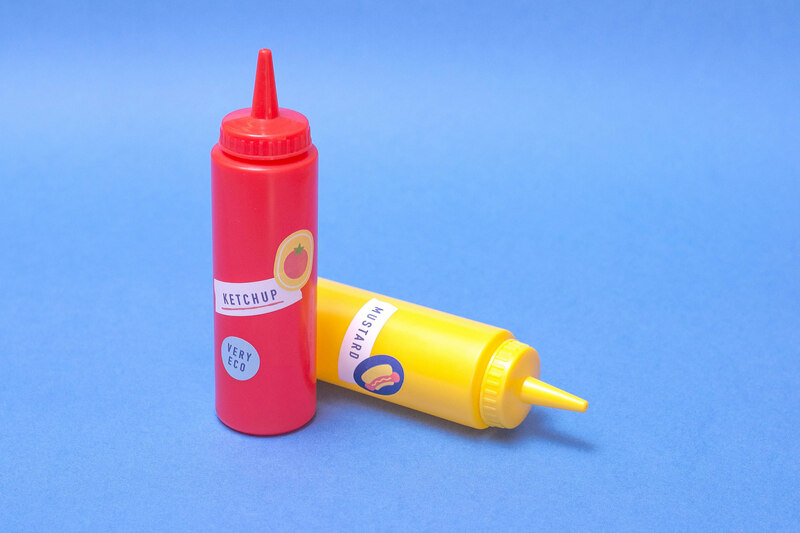 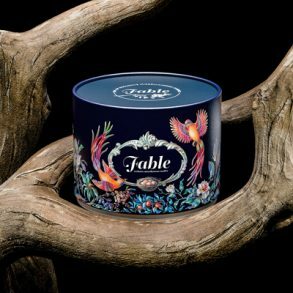 All incorporating into a quirky, tongue-in-cheek brand voice, which sometimes becomes false, for example, by conceiving and convincingly announcing the year of the restaurant’s opening. 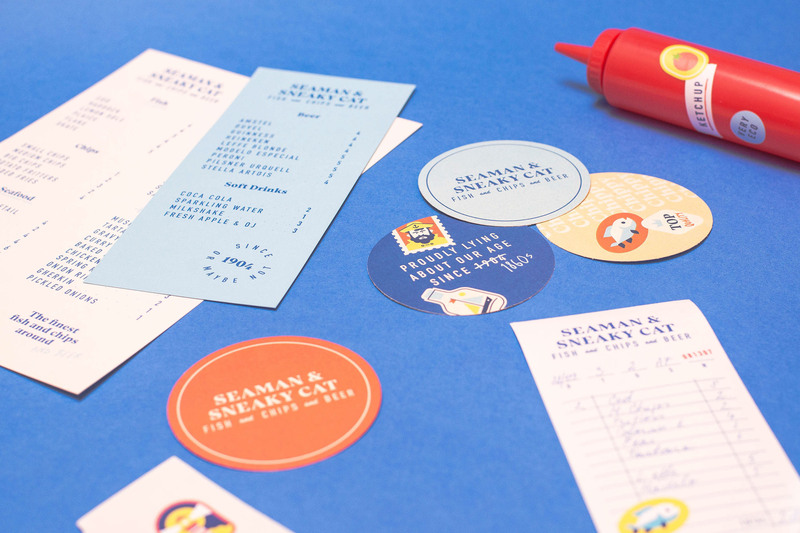 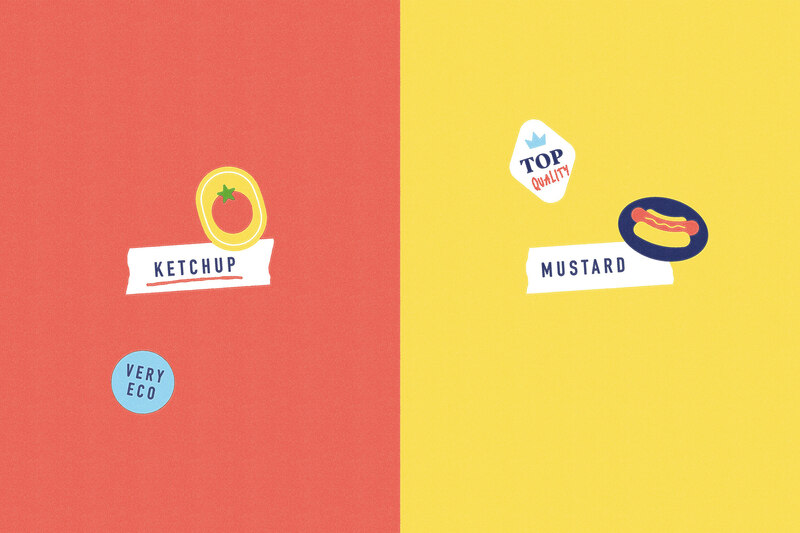 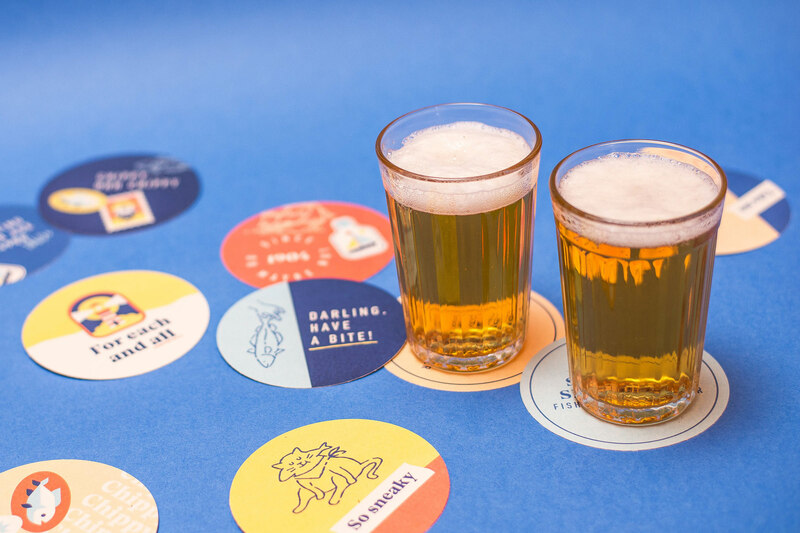 Restaurant menu, guest checks, drink coasters, takeaway wrapping paper and plenty of colorful stickers are all in in a cohesive, vibrant style.